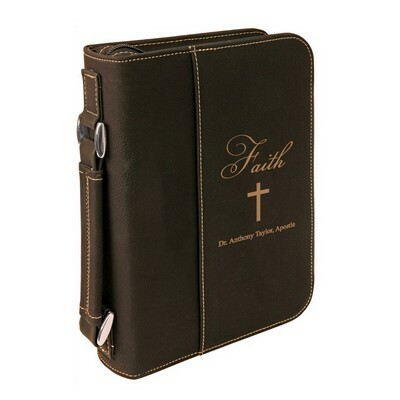 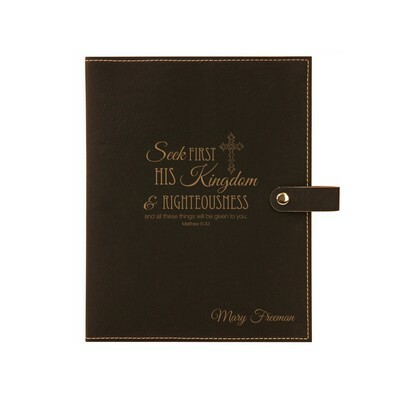 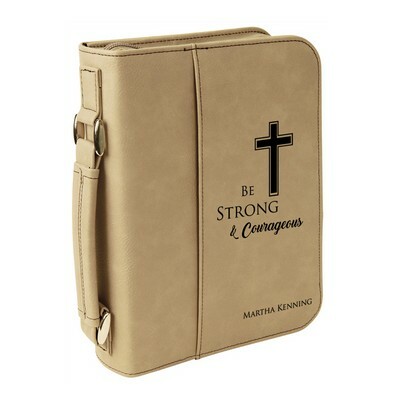 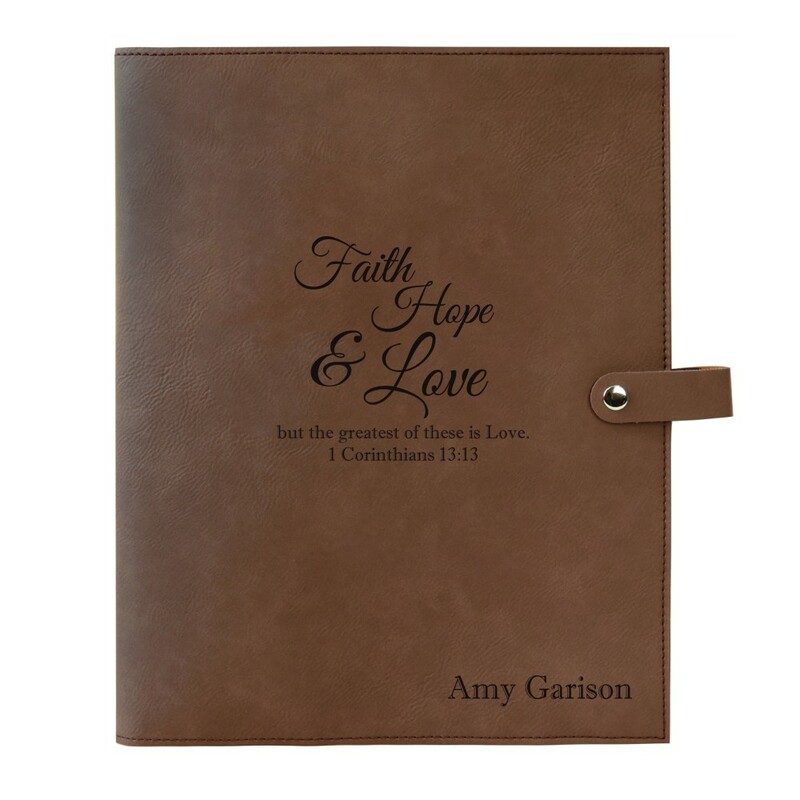 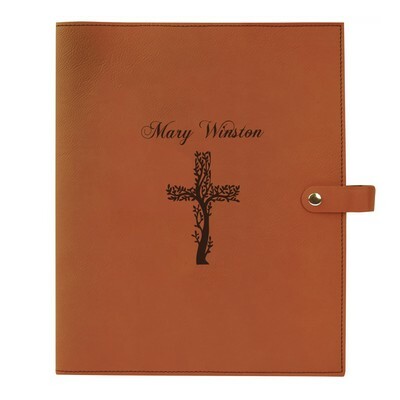 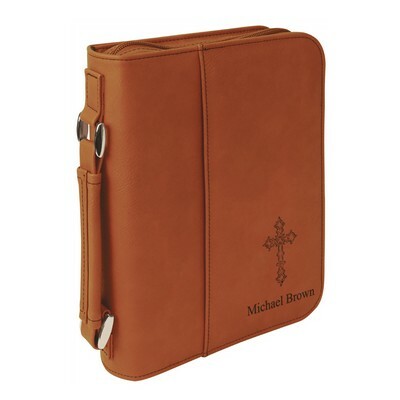 Protect your everyday Bible with our Faith Hope Love Dark Brown Leatherette Personalized Bible Book Cover. 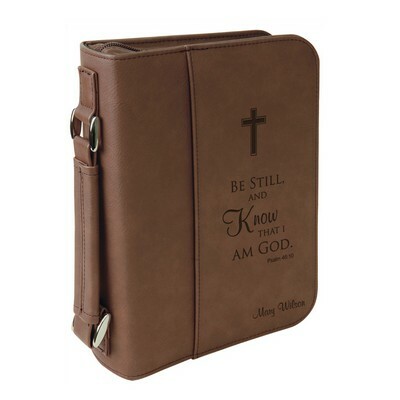 Featuring a slim design and an easy-open snap closure, this Bible cover will protect your Bible without making it too bulky. 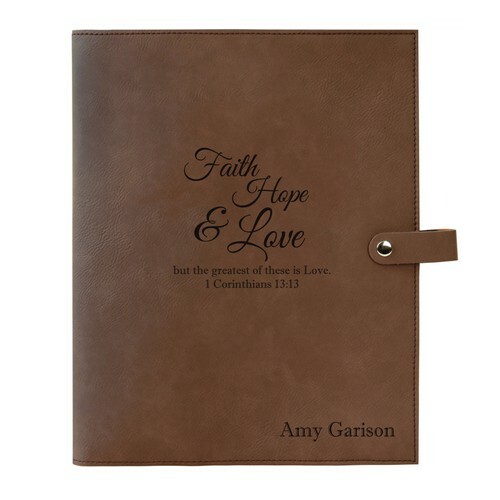 Plus, there is no better way to show your faith than with the beautiful and well-known "Faith, Hope and Love" Scripture from 1 Corinthians 13:13! 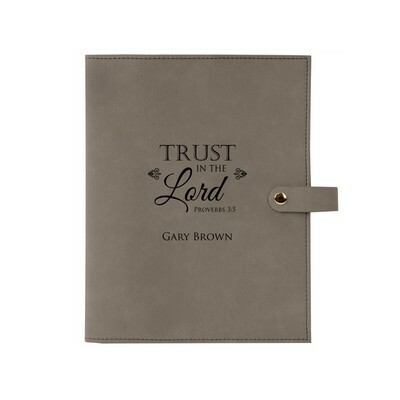 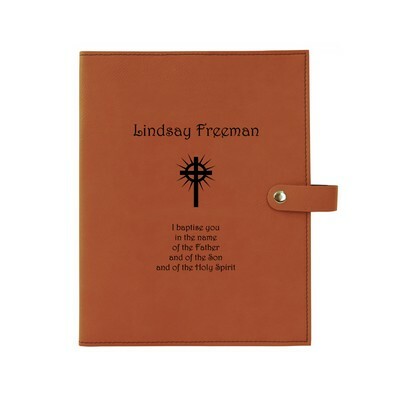 Use our custom Bible imprinting services to personalize this cover with your name. 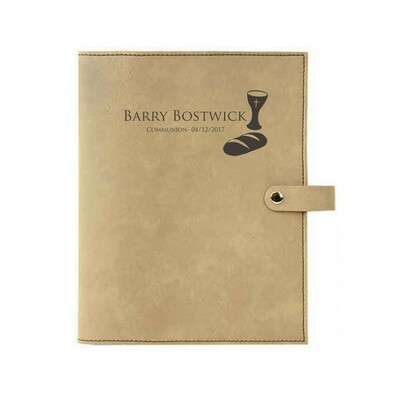 Measures 8 3/4" x 11"
You can earn 38 MG Rewards Points on this product!